One of the more recent successes for COLINES® is the start of the full production of a new POLYCAST line for the loyal customer KY PHAT in Ho Chi Minh City. The line can produce 2800mm wide 5-layer CPP and CPE film for lamination and metallization, with special formulations developed by KY PHAT and COLINES R&D department for this purpose. 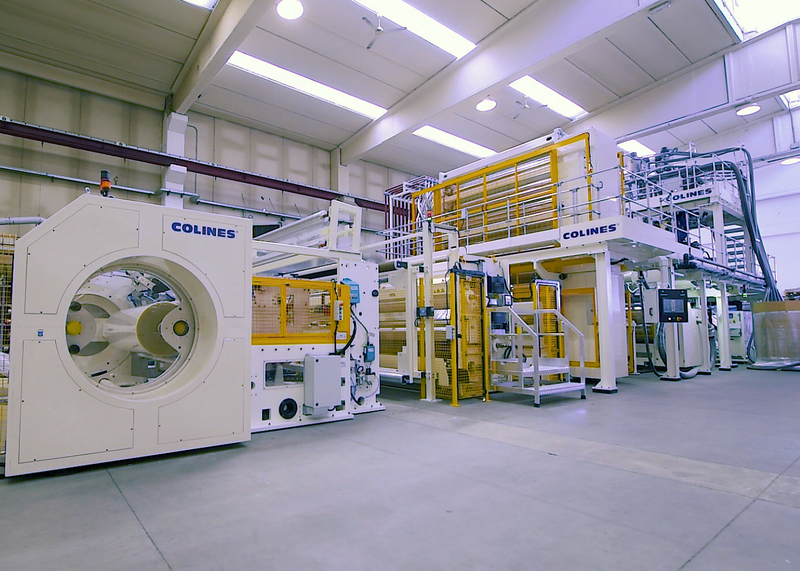 COLINES® is always at the forefront of every aspect concerning the production of films with cast technology, and therefore we could not miss the appointment; the possibility of producing CPE films of various thicknesses and characteristics is therefore a fact, thanks to the peculiarities of our cast unit and especially to the solution designed by COLINES® for the under-die suction, suitable for production with all different types of polymers. With more than 30 years of experience in the construction of polypropylene cast film lines and more than 20 years in film production experience with the partner company B-Pack Due® (transferred to the giant AMCOR a few years ago), COLINES® is a world leading manufacturer, thanks to the synergy achieved with its customers and suppliers, allowing a constant improvement in the quality and performances of its POLYCAST®. One of the market sectors that is increasingly emerging is the so-called CPE, i.e. polyethylene based film produced with the cast technology rather than using the classic blown method. - Production with cast technology allows to obtain optical characteristics that are undoubtedly incomparable to what can be obtained with the blown process, with better control of the frost line which also allows to better manage the characteristics of the film from the point of view of mechanical properties. - Similarly, the management and adjustment of the profile of the film produced in cast is much better than what is possible even on the most modern and efficient blown lines, thanks to the direct mechanical action controlling the extrusion die; this results in a further increase of the speed on converting machines, thanks to the improved overall flatness of the film. The latest and most recent innovations in terms of energy saving, which has always been one of the "leitmotifs" of COLINES® production, have actually allowed the historical gap between these two technologies to be overcome from this point of view too, without penalizing either the quality of production or the actual productivity.